Topics: Whiteboard Wednesday, Rotary Friction Welding, Direct Drive Friction Welding, Inertia Friction Welding, What is Friction Welding? 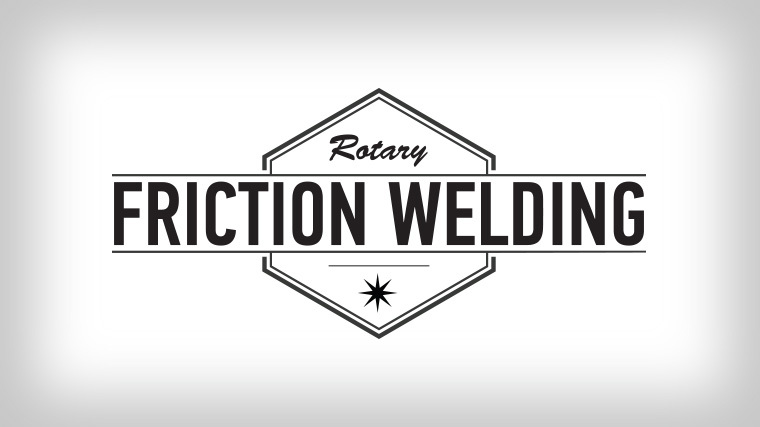 Rotary friction welding is a flexible technique that can provide many advantages over traditional fusion welding processes. In order to use the rotary friction welding process, you must have one part that is symmetric around its rotating axis. The non-rotating component, can also be symmetrical but does not have to be. There are three main types of rotary friction welding—Inertia, direct drive and hybrid friction welding. Each technique offers a unique advantage depending upon the type of materials being welded as well as the shape or geometries of the materials. Let’s take a look at some application examples. Imagine welding a thin walled tube to a flat metal plate. The tube would be rotated while the plate is held stationary. To get a high-quality weld, the tube has to be able penetrate into the plate as part of the welding process. The plate will act as a heatsink and naturally absorb the heat created by the rotating tube and dissipate it very quickly. In order to obtain enough heat between the parts to make a weld, a higher input power is needed. Inertia welding applies a similar amount of force and total energy for welding over a shorter duration of the weld (high power input) creating enough localized heat to join the parts before that heat can be dissipated. For contrast, imagine welding together two solid bars. Unlike a hollow pipe, a solid bar won’t have any relative motion at the center of the part. In order to generate sufficient center heating using the inertia welding process, one would increase the energy storage and increase the load in an attempt to dissipate the high energy more quickly, relying on conductive heating from the outside of the part inward. That would allow for the proper amount of heat at the center of the parts. Unfortunately, the increased energy and increased load has a cost associated with it. Alternatively, the direct drive process continually adds energy using an electric motor driving the rotating component at a fixed RPM. If we allow the parts to rotate longer (extended cycle time), then we add more energy to the weld. This additional energy will convert to heat, which will soak into the center of the part. The direct drive process accomplishes the same increase in energy through added cycle time instead of increased energy storage, allowing the parts to receive enough heat in the center of the parts to make a quality weld. The hybrid friction welding process uses the best of both inertia and direct drive. The constant energy side of direct drive uses the electric motor adding energy at the beginning of the process. Then, it ends with the flywheels and a fixed storage energy amount, which is done with inertia welding. This helps you solve some of your more challenging joining applications. MTI executes all three processes giving us the advantage of looking at your material as well as the part geometry you are trying to join together to pick the technique that will provide the best bond. Any one of these techniques can be used for almost any weld but we are dedicated to picking the best process that will optimize the weld for your specific applications. We’ll build a machine that makes your part, we’ll make the part for you, or we’ll help you make the part even better. Love this video? Want to watch more?